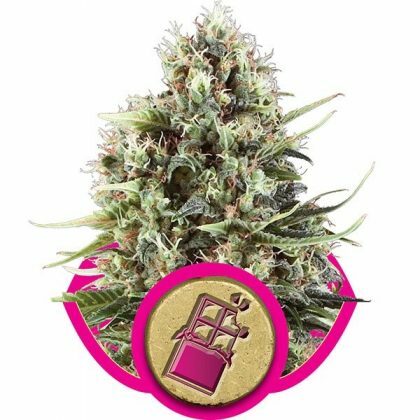 Royal Queen Seed’s Chocolate Haze feminised cannabis seeds offer a tasty variety that has been created to produce strong plants that harvest early and provides a sweet and happy uplifting high. Chocolate Haze feminised cannabis strain will delight the grower with it’s ease and speed of production and its delicious fruity and light chocolate flavour. 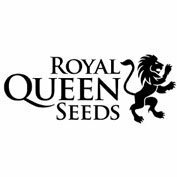 This variety by Royal Queen Seeds has very important medicinal properties and is helpful in the treatment of chronic depression, arthritis, pain, stress and migraines. This tasty genetic miracle is bred to grow strong and harvest early. Growers will delight in the ease and speed of production. The basis of this strain is an OG Chocolate Thai plant carefully bred with all-star Cannalope Haze. These hybrid specimens have a low resistance to mold so take care in their initial development. They are guaranteed to be feminized to ensure production. A good afternoon remedy, clear head and creative. 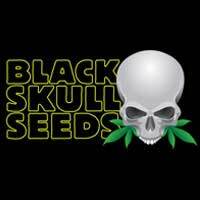 Chocolope seeds will bring you a large harvest and a strong result. An energetic feeling of euphoria lasts for 1-2 hours then leaves the user feeling aware and alert to their surroundings. Questions and inspiration may follow when used alone. A medicinal strain targeted at sufferers of chronic depression, Chocolate Haze will uplift and brighten as well as aid in a variety of medical ailments. Arthritis, ADD/ADHD, joint pain, stress and migraines are all greatly reduced with regular use of this strain. The plant has genetics roots in Thailand and produces flowers quickly. 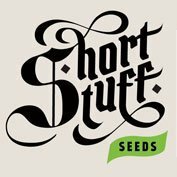 Chocolate Haze seeds will thrive when grown in hydro and in soil, but keep in mind the space required for the large plant. A member of the Haze strain family, Chocolate Haze is a sativa-dominant seed. It is 95 percent sativa and 5 percent indica. Haze strains were originally bred in California in the 1970’s before they were shared with the rest of the world and popularized in Amsterdam. Chocolate Haze seeds have up to a 17 percent THC. Experienced growers will reap 450-500 grams per plant in outdoor conditions when the harvest is dried. This resilient crop is easy to grow outdoors and should be ready in October to November. Because of its massive size, it is not recommended to grow indoors and this large, bushy plant is best taken care of by seasoned gardeners who will catch any infestation of mold early on. Indoors, it will reach 160 cm, but outdoors is can grow to 200 cm tall. The smoke of this strain has been described as fruity, light and underlined with a strong chocolate flavor. It will linger in the air and dance across the room.